SoCal Climate Control & Mechanical, Inc. Perfect Climate Heating & Air, Inc.
Air Pro Heating and Cooling, Inc.
Air-Tech Air Conditioning & Heating, Inc.
Techno Air Conditioning and Heating, Inc. Comment: My current furnace is dead. Had one heating and air company come out and give me a quote. Looking for a second. Comment: had to have gas turned off in order to repair gas leak. when gas co turned back on, they noted gas wall furnace flame was burning yellow not blue. Comment: Central heating unit was working fine and then just stopped blowing hot air. Comment: My heating system is blowing cold air for few minutes and shuts down without warming. Comment: I need someone to replace the flame sensor on my central heating unit. La Crescenta Heating & Furnace Contractors are rated 4.72 out of 5 based on 2,625 reviews of 32 pros. 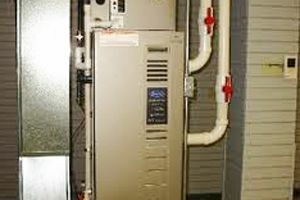 Not Looking for Heating & Furnace Systems Contractors in La Crescenta, CA?